The author of this book, an assistant professor of medicine, uses his many years of front-line medical experience to challenge the perception of medicine. The reader is presented with the scenario of a clinical ward round on an intensive care unit. While the medical team discusses the relevance of tests, medicines and treatments, the family pick up on the unsure nature of the conversation. This is a great opener that we can all relate to and that highlights the uncertainties we encounter every day. 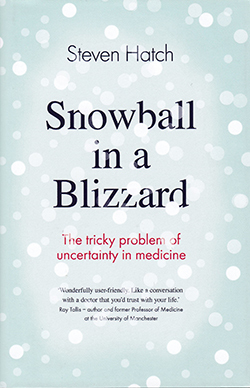 The book’s fascinating chapters focus on the uncertainty of diagnosis and treatments. Although aimed at those working in medicine or diagnostics, it will make nurses consider what they say and how it can be interpreted by patients and their families, reinforcing how much they look to us for answers and support throughout ill health.